As long-term clients of my UK wide Network of Commercial Photographers, we are always happy to drive off to a new shoot for Lookers – the multi-brand and multi-site automotive supply specialist. If there’s a newsworthy story to cover – across dealerships around the UK – then our Press and Public Relations Photography is sure to get your press release noticed! 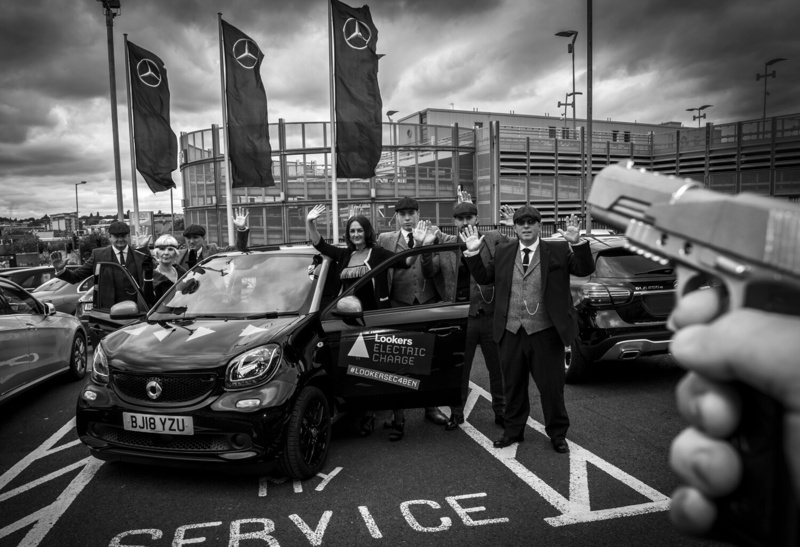 On this occasion – Lookers had recently acquired the Mercedes Benz showroom in Walsall, West Midlands. 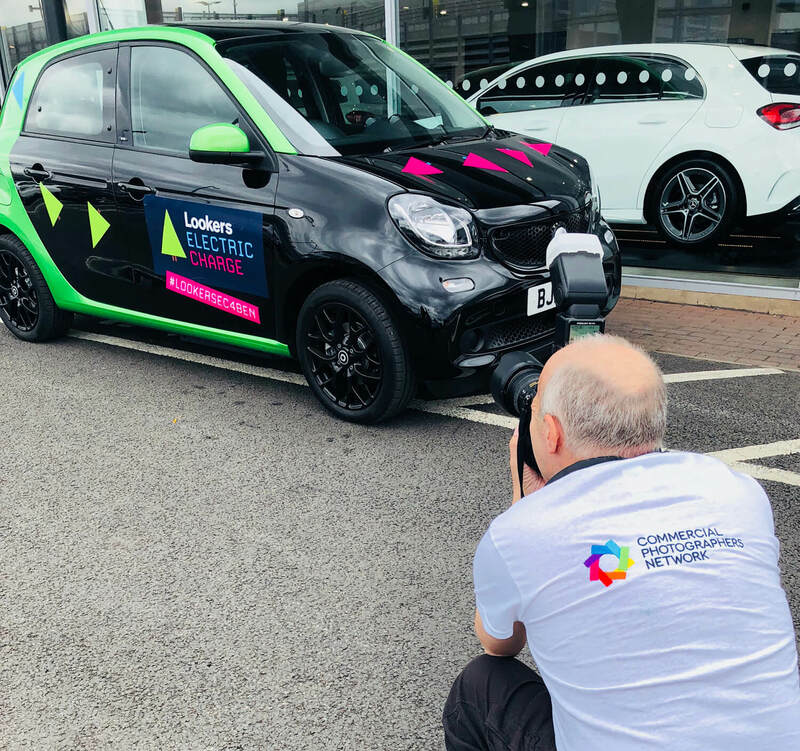 As part of the Lookers Electric Charge event – the soon-to-be-seen-everywhere Smart Electric Vehicle was part of a charity drive on behalf of Ben, the automotive industries support specialist. 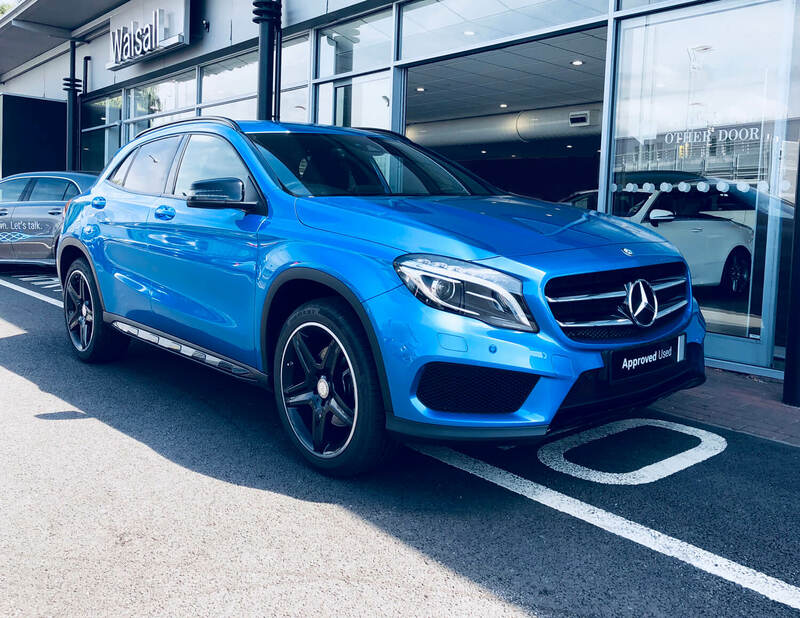 This 2000 mile journey took in lots of the Lookers family of car showrooms – popping into Dublin, Yorkshire, Greater Manchester and Merseyside before heading to the Midlands. In each and every dealership a different theme was played out to get in the spirit of the event. 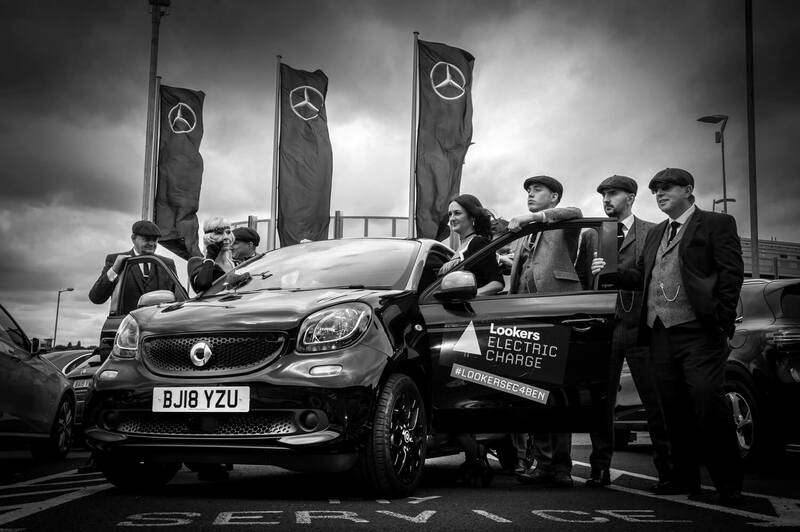 To highlight the Black Country connections – a ‘Peaky Blinders’ look was adopted for the Mercedes Benz shoot. Lookers make the smart decision to get Graham in on the shoot. Getting down to business. Powerful PR Imagery – the look and feel of Peaky Blinders recreated with style. Getting the right shot – the props supplied by Graham helped make a memorable and meaningful photo session. We’ll Shoot anything on site … a bi-line that Graham has lived by. He used extensive knowledge of both Lightroom and Photoshop to give the photographs more power and more bite. The client was knocked out with some of the most powerful shots they had had on this campaign. 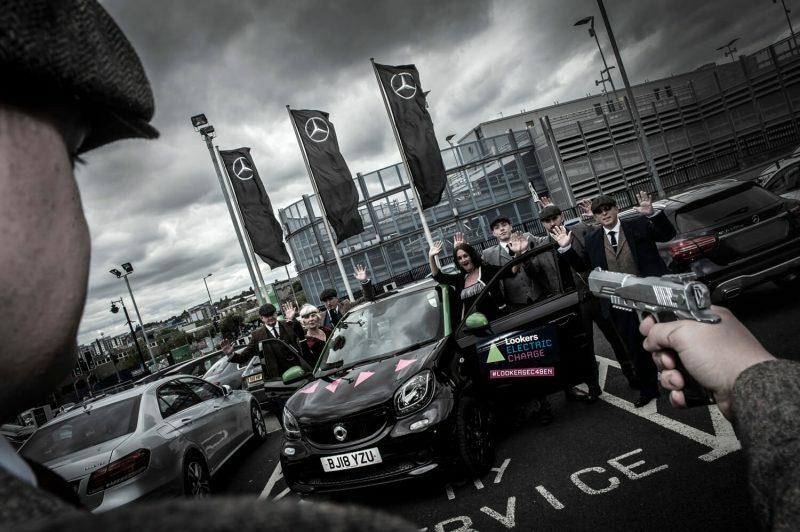 And finally – Graham was so impressed with the Mercedes GLA – he bought one! Looking for car advice, or photography for your Midlands Car Dealership, get in touch with Graham for a chat!